Last Call Warning on OSRS Bond Giveaway! 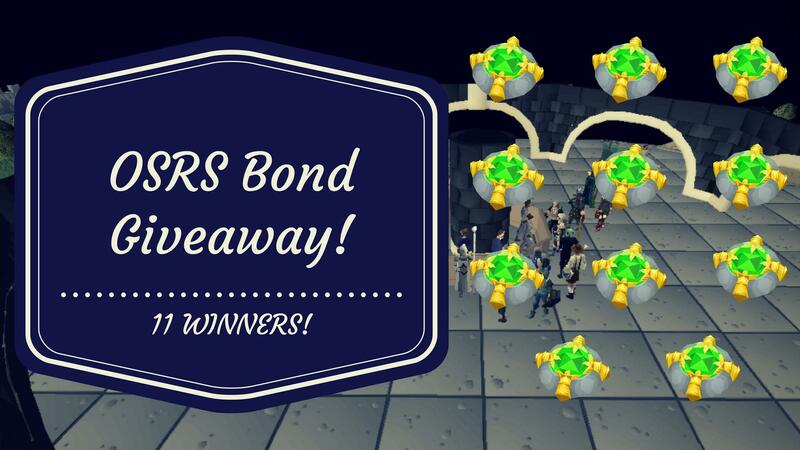 If you haven't yet, be sure to enter our OSRS bond giveaway! You ONLY have the remainder of today to enter, so make sure you're not left out! So don't wait! Enter NOW before it's too late!